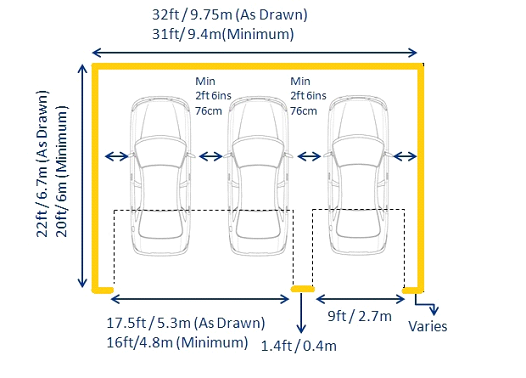 Standard garage dimensions and measurements by length, width, and height. So let’s start with a single garage. Everything on the diagram below is pretty self explanatory. 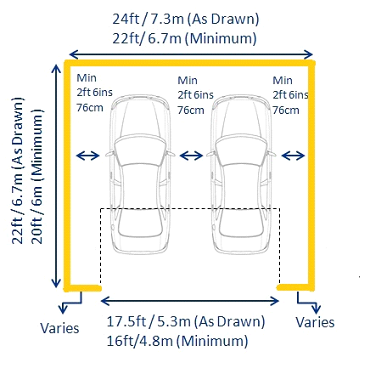 The minimum dimensions are sufficient for our mini and our Ford Mondeo but the Ram wouldn’t fit in there. When it comes to double garages there are two configurations that come immediately to mind. A double garage with one door and a double garage with two doors. I can appreciate that aesthetically two single doors may be preferable but on balance I’d go for a double door. It’s less expensive, particularly if you want your garage doors motorized and with no central pillar in the garage entrance it’s one less piece of masonry that might jump out and scrape the car. 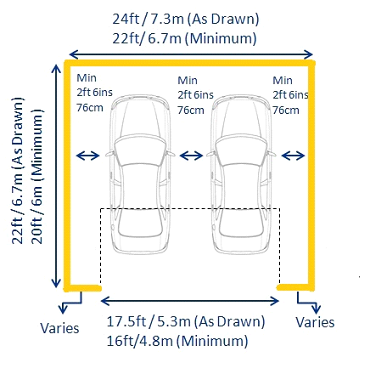 No matter what door configuration you choose the following recommended minimum double garage sizes apply. With triple garages the obvious door set ups are three single doors, or a double door and a single door. 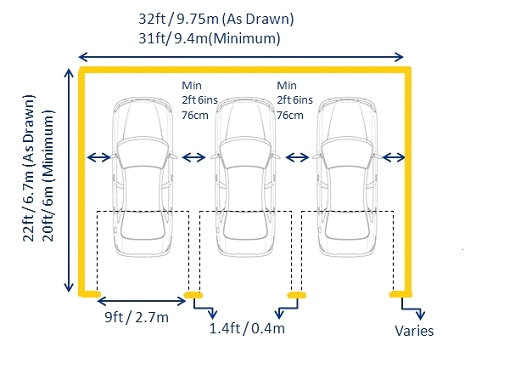 Again the door configuration makes no difference to the minimum recommended dimensions.